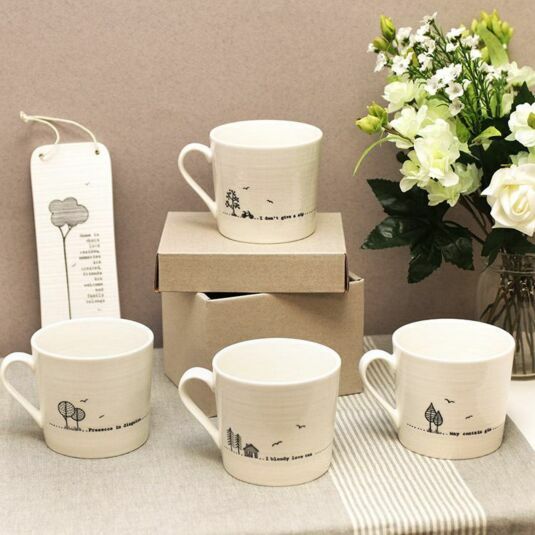 A beautiful black line drawn illustration of trees, along with birds flying overhead is etched into the centre. 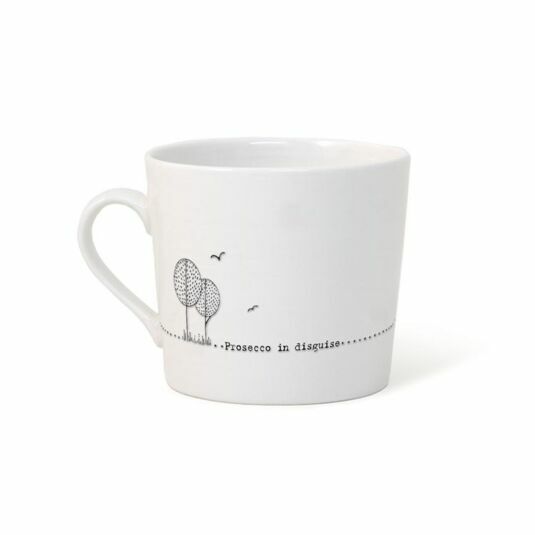 The words ‘Prosecco in Disguise’ are found next to this illustration along a dot-effect line running through the middle of the piece. 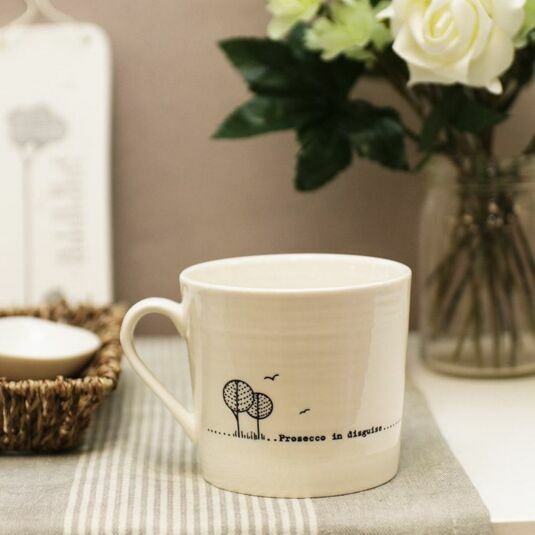 Perfect for enjoying a nice cuppa tea or coffee, or a tipple of something bubbly, this mug will look tasteful displayed any table. 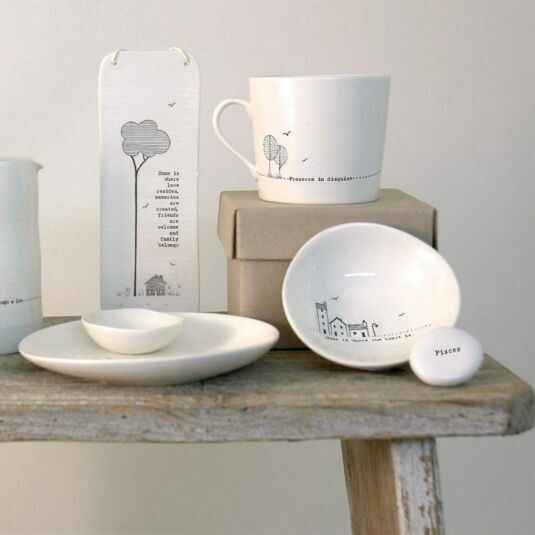 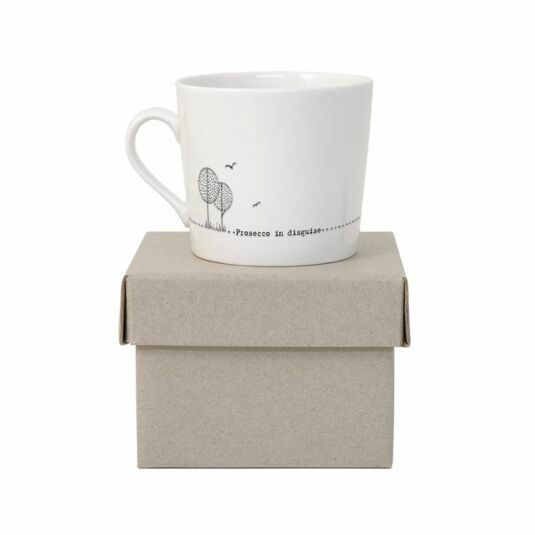 Add token of love to the home in the form of this Wobbly Porcelain Mug from East of India, a witty and touching gift for a family member or friend who loves a Prosecco or two, on their birthday or at Christmas.